Ask any seasoned office worker and they will happily confirm that without organisation, it is difficult to work effectively. If you are typically working on a dozen or more projects at the same time, without some form of a system, you will find it hard going and will waste a portion of your time looking for things. 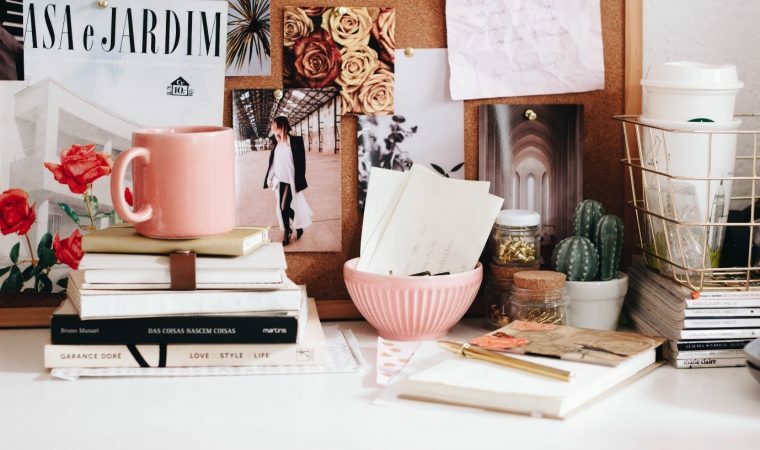 If you are launching your career and want to start as you mean to go on, here are some great desk organisation ideas to adopt. Choose the Right Desk – A good office desk has pockets and drawers everywhere – an antique writing desk with drawers will be perfect, and will add some character to the room. Hand crafted, an antique desk is not only an ideal working piece of furniture, it also a wise long-term investment, and with a little care and attention, will appreciate in value. When deciding what goes where, think about the frequency of use, and store rarely used items further away from your central seating position. Digitalise your Data – We are fast moving out of the paper age, with many offices already having all data stored on a computer. If you have a lot of paperwork to deal with, invest in a scanner and digitalise invoices and reports as they come in. Added bonuses include being able to get rid of that ugly filing cabinet, which is no longer needed. Have a Rubbish Bin Handy – There are attractive little flip top bins that are ideal for office use. Absolutely every unwanted item gets to go in here, and once you get into a routine, it will become second nature. There are also a few more tips on how to keep your desk area clean and tidy online, which is recommended reading for all. Added Storage – You will likely have many things around your desk and anything that is not directly required, can be stored a little away from the desk area, thus avoiding too much clutter. Keep the Area Clean – Cleanliness equals productivity, so get into a firm routine of having a cleaning session at the end of every day. If you have a small feather duster, use it before you move on to the desk, and with a vacuum of mop of the floor, you are good to go. Regularly empty your nice little bin and do not leave anything out – all items should be returned to their proper location once finished with. A Physical Inbox – There simply must be a place for all incoming paperwork, even in this digital age, so place an A4 size tray within reach, with a sticker that says “Inbox”. If you have things to do that don’t involve paperwork, you can write down the task and place it in the inbox – that way you won’t forget. If you start as you mean to go on and adopt all of the above practices, your working area will be clean and uncluttered, which will allow you to focus on your work. We all have our own little routines and you should move specific items if the original placement is not practical, and after a while, you will have everything exactly where you need it.